On the Friday after the 4th, I was missing my girls. When I get to spend extra time with them, I always struggle when I go back to work. So I decided to take an extra vacation day! 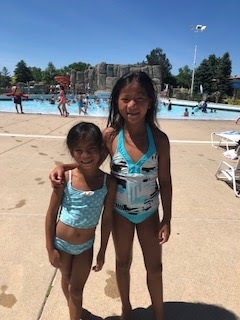 We headed north and went to Rolling Hills Water Park. We had never been but heard good things! This is the only picture because John and I put our phones in a locker and rode slides and swam all day. We were almost 7 hours!